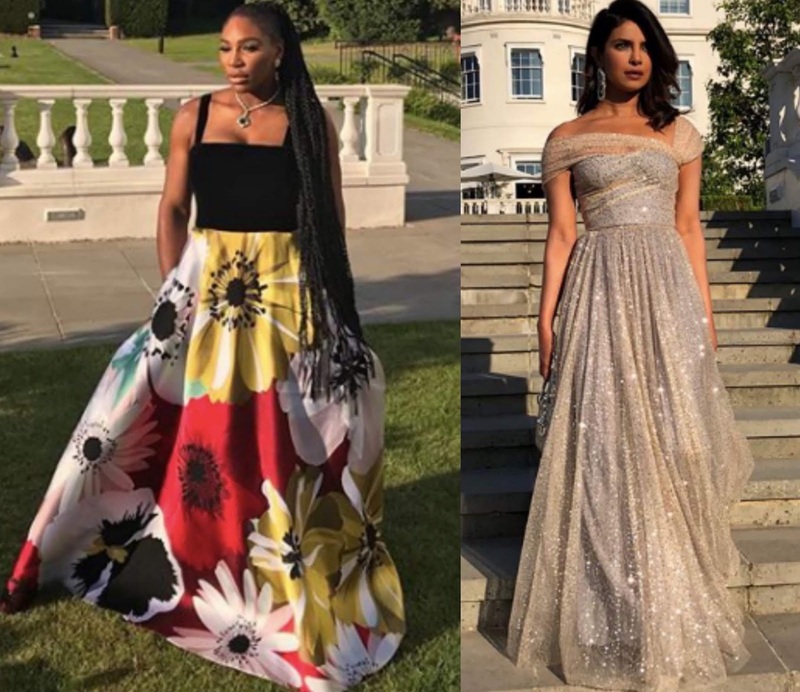 Following the wedding, Serena Williams and Priyanka Chopra snapped pictures of their look before heading into royal wedding reception this evening(May 19th) in London. Serena Williams posed for the gram, wearing a custom VALENTINO FALL 2018 gown which featured a black velvet top and a floral skirt. This should look familiar because Amber Heard wore it the first week of Cannes. 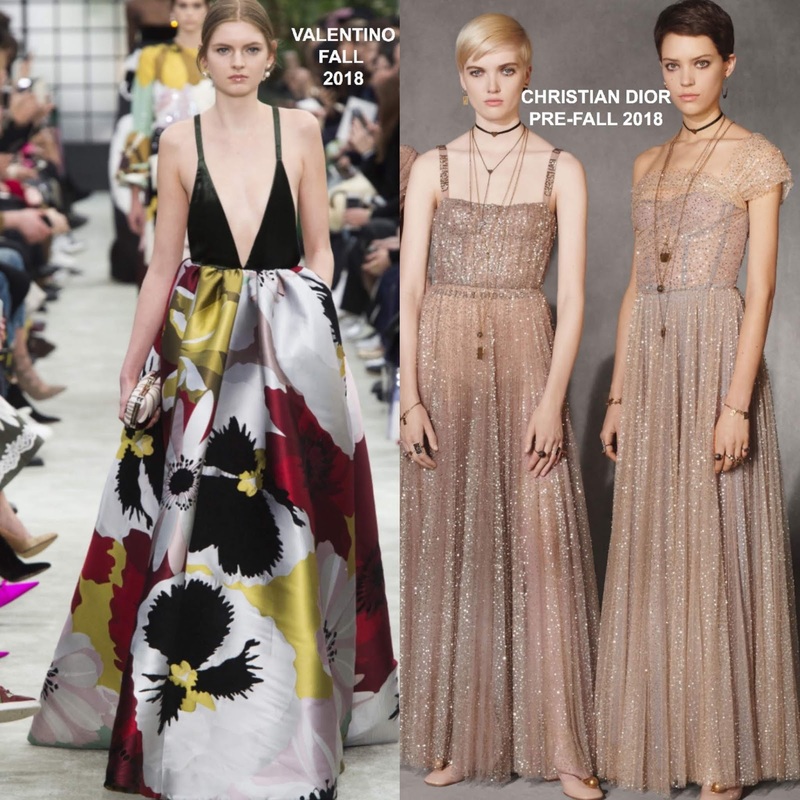 Amber wore the exact runway version but I prefer Serena's altered version. She finished up with BULGARI jewelry and a complimentary beauty look. Priyanka Chopra posed for the gram wearing a CHRISTIAN DIOR shimmery sheer gold, sequin tulle layered dress with an off-the-shoulder detail. She once again accessorized with jewelry courtesy of LORRAINE SCHWARTZ. I thought she look simply beautiful and her look was perfect for the reception.